O/B, Custom designed galvanized steel trailer supplied for this boat by Hunter Marine. Comments: Hunter 23 in Bristol condition. Meticulously maintained and clean as a whistle. Hunters cruise pak included so the boat is ready to go. 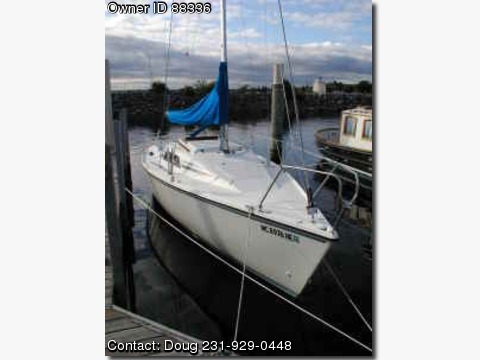 Sails are in great shape and this price includes a CDI headsail furler installed new last year. All sails in good order. AM/FM stereo radio/CD with cabin speakers included. VHF marine two way radio with masthead mounted antenna. Bulkhead mouted compass in full view of the helm. New custom cockpit cushions of two seasons ago. Like new Pacific Blue sunbrella canvas sail and tiller covers. Includes 5pm Nissan outboard and galvanized steel trailer w/new tires last year.